Collected from the writings and teachings of Smith Wigglesworth, these daily devotions bring you right to the heart of God. The simple yet inspiring words of this well-known evangelist offer a dynamic message for each day of the year--a message of fullness of divine power. Discover through Wigglesworth's writings how you can experience victorious living, transmit God's love and miracles to others, live in the presence of God, and much more. Smith Wigglesworth Devotional by Smith Wigglesworth was published by Whitaker House in July 1999 and is our 13687th best seller. The ISBN for Smith Wigglesworth Devotional is 9780883685747. 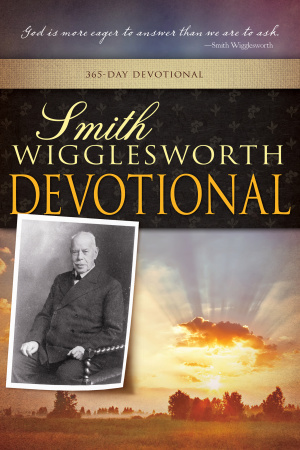 Be the first to review Smith Wigglesworth Devotional! Got a question? No problem! Just click here to ask us about Smith Wigglesworth Devotional.